£72 million will be spent in the UK with Aylesbury becoming the UK home of its Lactose free range. The Arla Foods’ board of directors approved plans this week to invest £460m as part of its 2020 growth ambition. Globally, 50 per cent of the investment will be targeted at growing sales outside of Europe. And in the UK, 10 of Arla’s 12 sites will receive a share of a £72m investment for upgrades. The UK was the co-operative’s largest market, valued at £6bn in Gross Value Added (GVA). He site in Aylesbury will receive largest amount of investment (£33.6m) and will become the UK home of Arla’s Lactose free dairy products using milk from farmers in the south east and midlands, with the UK seen as a key market for lactose free products. It will also provide facilities for new product packaging as it explores alternatives to plastic. £5.5 million will be used to upgrade processing facilities at Arla’s Lockerbie plant in Scotland. The remaindering £32.5 million will be split across Arla’s sites in Melton Mowbray, Llandyrnog, Malpas, Oakthorpe, Stourton, Settle, Oswestry and Trevarrian. Tomas Pietrangeli, Managing Director of Arla Foods UK, said: “Arla is the biggest dairy company in the UK, owned by 11,200 farmers across Europe. 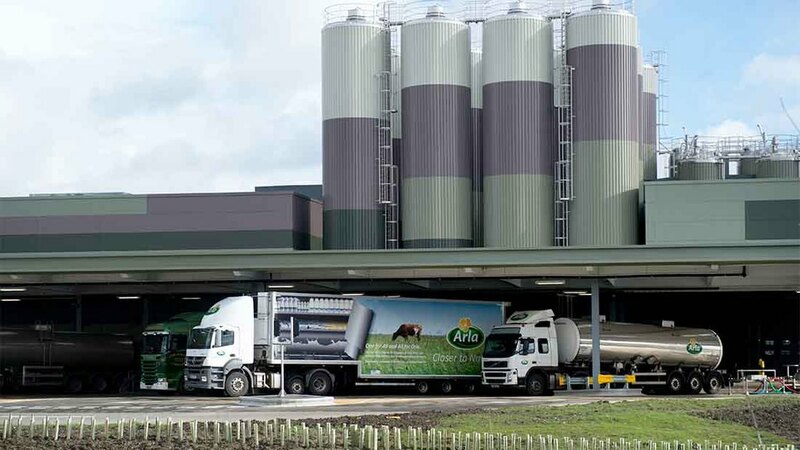 “This investment is almost double the investment of last year and, with the exception of building the Aylesbury dairy, it is the biggest annual investment for Arla in the UK.